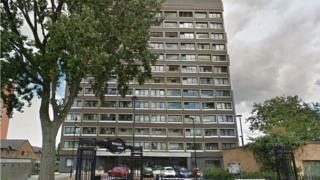 Sprinklers are to be fitted in all 36 council-owned tower blocks in Manchester. The decision by Manchester City Council comes after a fire risk assessment following the Grenfell Tower tragedy. Deputy Leader Cllr Bernard Priest said: "We need to get to a position where every person who lives in a high rise block feels safe in their homes." The council said it will meet the £10.5m cost but there would be a knock-on effect on other planned works. Since the Grenfell disaster in May, Greater Manchester Fire and Rescue Service has visited all high rise blocks in Manchester to ensure that any tower block fire is contained and does not spread. And the council has also written to all 216 privately-owned tower blocks to establish whether cladding or other building materials used presented pose any potential safety issues. The owners of 12 private buildings that feature Aluminium Composite Material (ACM) cladding have taken action or commissioned fire risk assessments. Before installing sprinkler systems within each flat, the council will consult with residents in each of their 36 managed high rises. The project will be funded from the Housing Revenue Account but the council is planning to cut back on other works for council-owned properties.